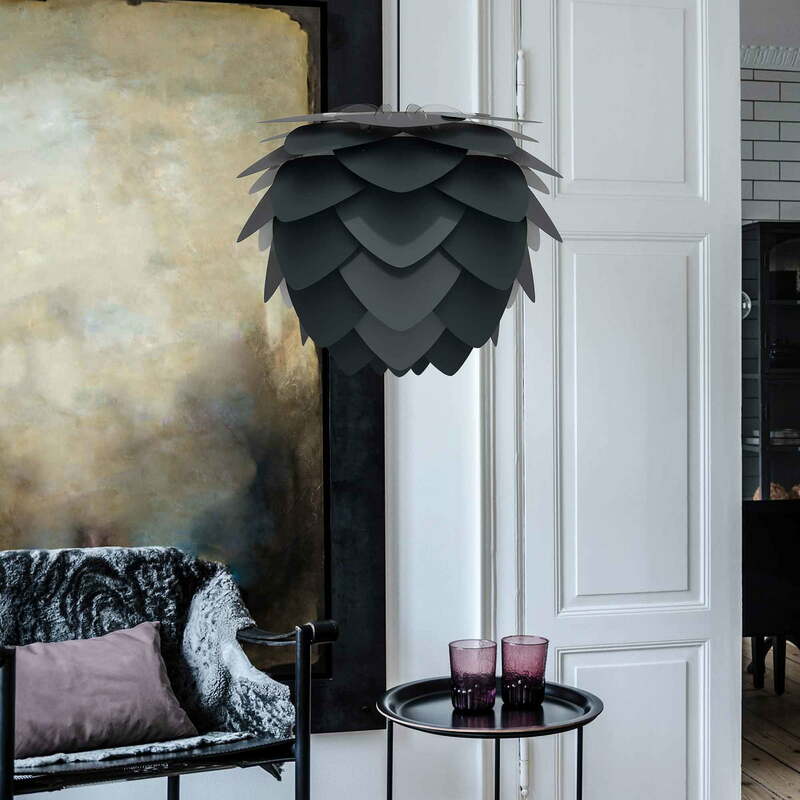 The Aluvia lampshade designed by Søren Ravn Christensen for Umage is characterised by its honeycomb-shaped appearance, created with blades made of aluminium. 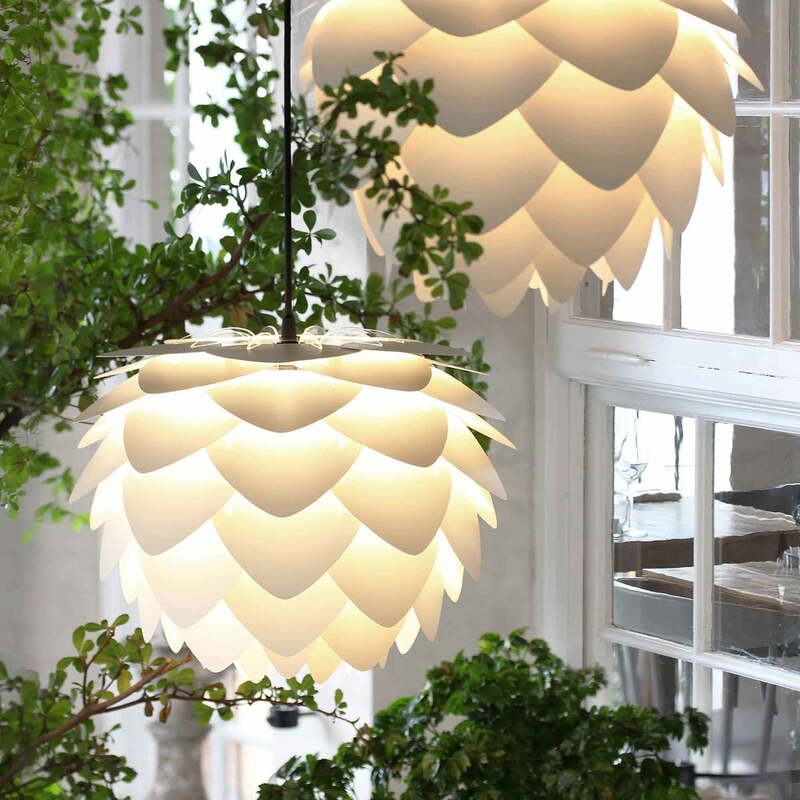 It combines organic, soft shapes with sturdy materials to become a special light object for any room. The lampshade is manufactured out of aluminium, polypropylene and polycarbonate so it is particularly light yet robust at the same time. Aluvia is available in various colours making it a versatile lamp that can easily fit into any interior style. It can be used as a pendant lamp as well as a floor, ceiling or table lamp when combined with the different accessories offered by Umage. The Aluvia lampshade by Umage is available in different sizes. 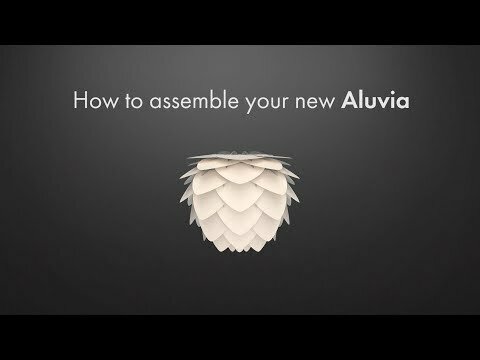 In this video, Umage explains how the Aluvia lampshade is quickly and easily put together. 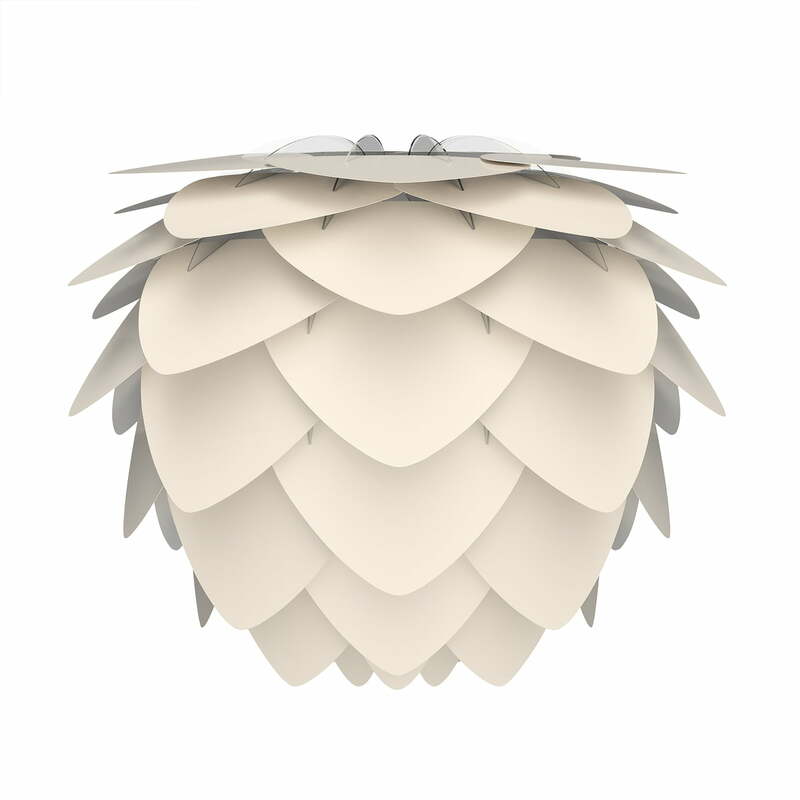 Isolated product image of Aluvia Lampshade, mini Ø 40 cm by Umage. 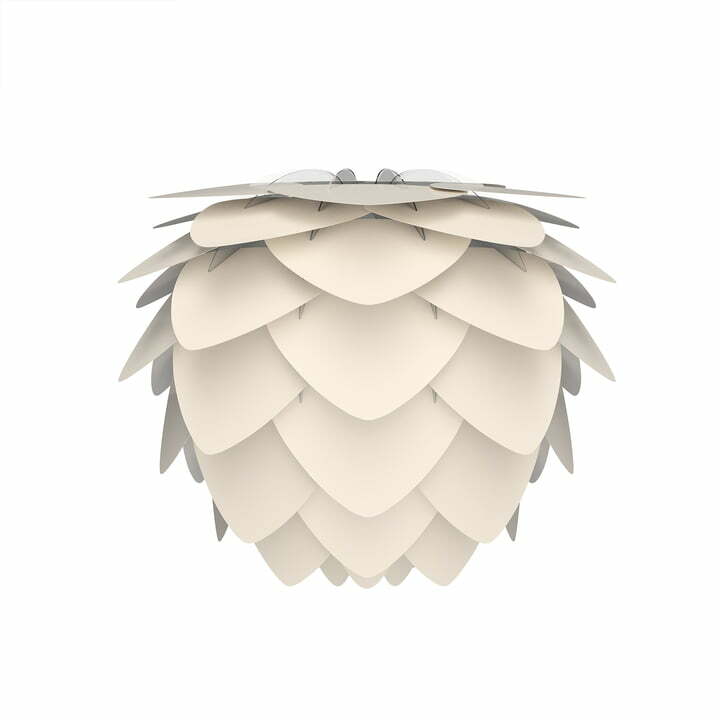 The Lampshade is made of aluminium, polypropylene, polycarbonate so it is light and sturdy at the same time. 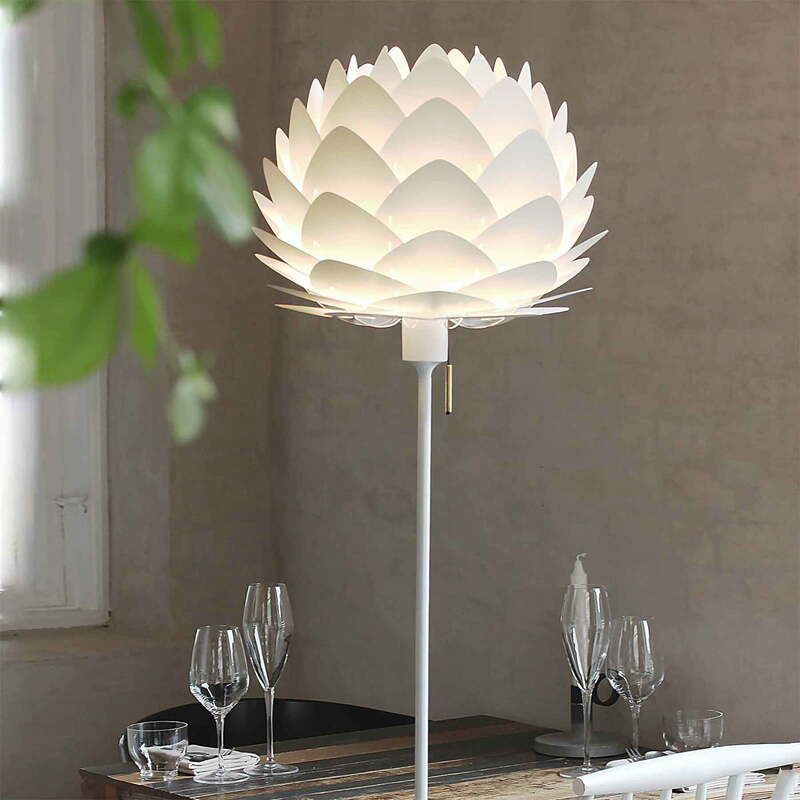 Lifestyle product image of Aluvia Lampshade, mini Ø 40 cm by Umage. 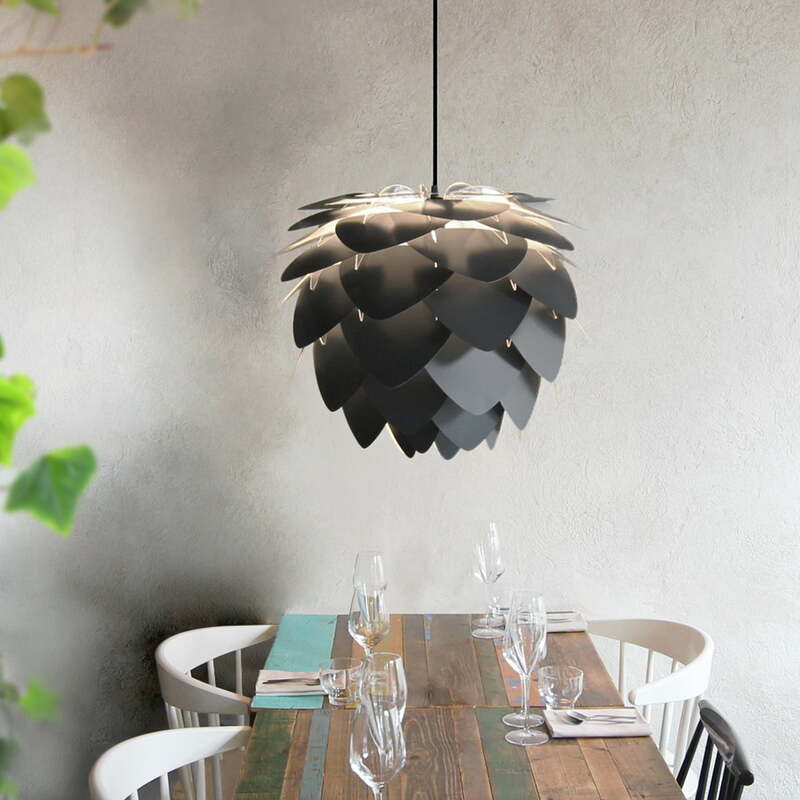 Over the dining table, the light manufactured out of aluminium is a modern eye-catcher. Lifestyle product image of the Aluvia lampshade by Umage: Aluvia is available in various discreet or bright colours, making it a versatile lamp that can easily fit into any interior style. Lifestyle product image of the Aluvia lampshade by Umage: It combines organic, soft shapes with sturdy material and becomes a special light object in any room. 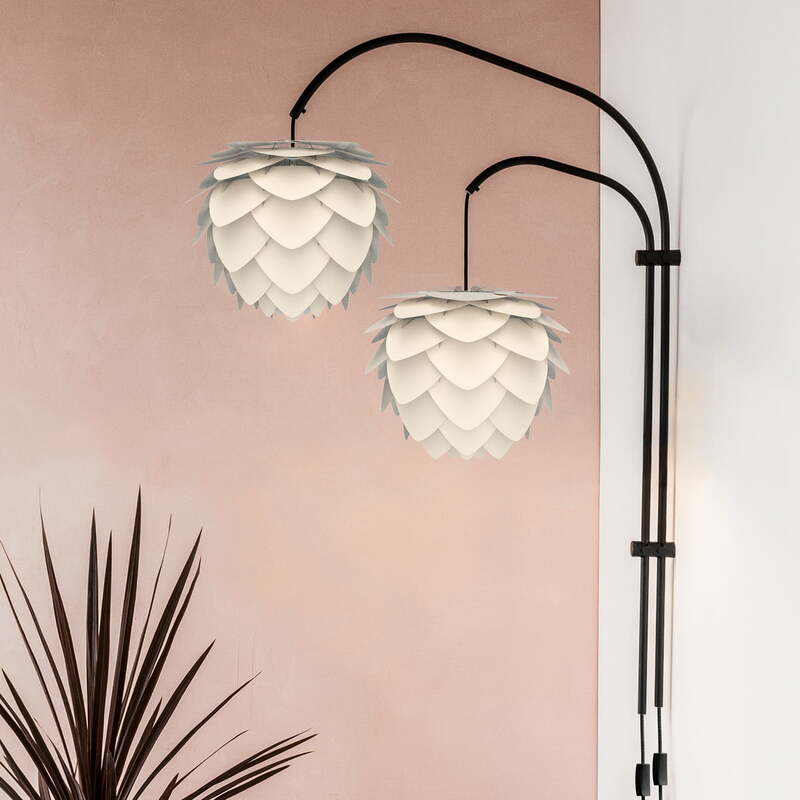 Lifestyle product image of the Aluvia lampshade by Umage: The practical accessory is reminiscent of branches on a tree from which two Aluvia lampshades can be hung decorating the room in a unique way. Lifestyle product image of the Aluvia lampshades by Umage in pearl as pendant lamps. The Aluvia lampshade by Umage is available in various colours and sizes. 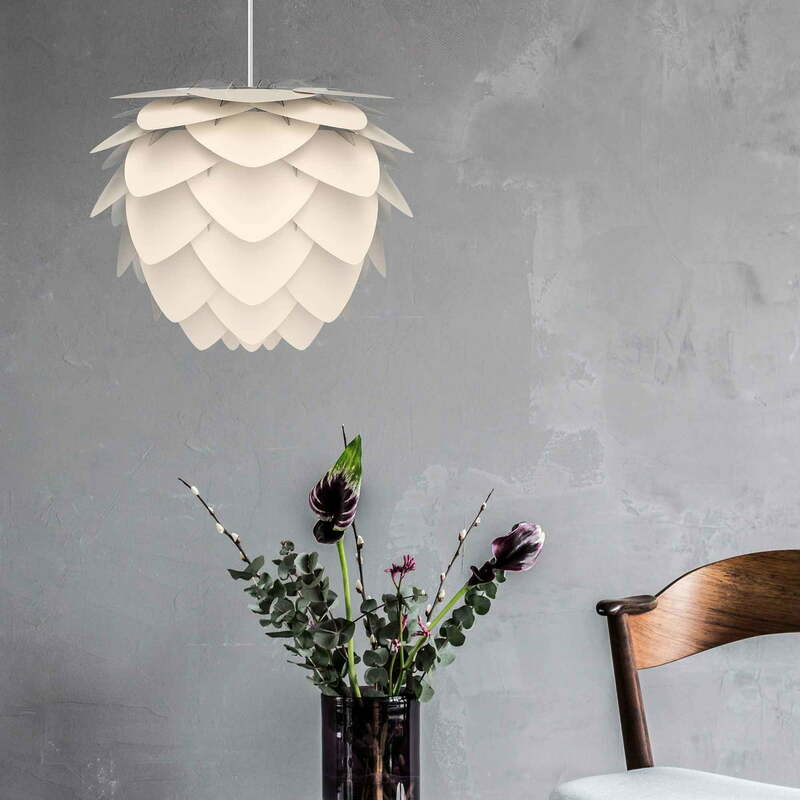 Lifestyle product image of the Aluvia lampshade by Umage: It can be used as a pendant lamp as well as a floor, ceiling or table lamp when combined with the different accessories offered by Umage.